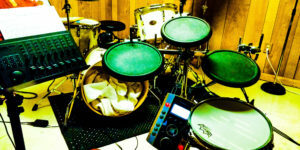 Drum Loop Lab has a dual function of providing musicians access to free samples of various grooves and ideas in a range of styles and to provide percussion students with unique exercises to improve their own playing. Drum Loop Lab offers pdf and audio examples of all of the grooves on this site. Recordings are made using Pro Tools and recorded with a variety of acoustic drums and Roland V-Drums. Enjoy!